Mill Spring, NC – August 30, 2017 – Land Rover North America returns to partner with the 2017 USEA American Eventing Championships (AEC), to be held at the Tryon International Equestrian Center (TIEC) from August 30th to September 3rd, 2017. Land Rover North America continues its longstanding support of eventing competition at this multi-division national championship event. 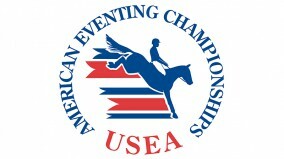 The AEC offers horse and rider combinations of all ages and levels the chance to compete in a one of a kind national championships. The unique event was created as an opportunity to recognize all professionals, amateurs and juniors for their year- long accomplishments, bringing the top riders in their respective divisions from all over the United States to compete for a championship title. Kim McCullough, Vice President of Marketing, Jaguar Land Rover North America, LLC said, “We are happy to be a part of this weekend’s event as it helps develop the next generation of our equestrian athletes and also awards and recognizes the best riders in the nation, whether they are a Beginner Novice or are riding in the Advanced division. Spectators will be treated to an exciting cross-country competition with a diverse range of fences on the course designed by Captain Mark Phillips, which will stretch the competitors to their full ability and produce some thrilling rounds. For many competing at the Tryon International Equestrian Center, this will be the first opportunity to compete at the world-class facility, and for some the first opportunity to ride a Captain Mark Phillips course. Rover Discovery, and will include a range of top equestrian apparel and equipment. ‘Young Adventurers’ on site at the horse show will not miss out on any fun as Land Rover will have a fleet of scaled-down, electric-powered replicas of the iconic 1948 Land Rover Series 1 for children, ages four through ten, to drive on a specially modified ‘miniature’ off-road course. A selection of the latest Land Rover vehicles will be on display in the main shopping plaza next to the Land Rover Young Adventurers ‘kiddie course’ and also on the cross-country course. Vehicles displayed include the new Land Rover Discovery, which recently went on sale, the Land Rover Discovery Sport, the Range Rover, Range Rover Sport, Range Rover Evoque, and the all-new Range Rover Velar model coming to market this fall. The week-long Championship event aligns with Land Rover North America’s long-term partnership as the Official Vehicle of the United States Equestrian Federation and the U.S. Land Rover Eventing Team. The USEA American Eventing Championships (AEC) presented by Land Rover and Nutrena® is the pinnacle of the sport for the national levels. Held annually, this event draws together the best competitors from across the country vying for national titles from the Beginner Novice through the Advanced level. This year’s AEC is being held at the Tryon International Equestrian Center in Mill Spring, N.C. August 30-September 3, 2017. Renowned cross-country course designer of Great Britain’s four-star Land Rover Burghley Horse Trials, Captain Mark Phillips, has developed a variety of championship-caliber cross-country courses for all the levels of competition and has been a Land Rover Brand Ambassador for more than three decades. The outstanding facilities of the TIEC, comprising of 12 all-weather rings, a covered arena, 1,200 stalls and nine on-site restaurants, will create an experience and atmosphere that rivals that of a global competition.